Boys & Girls Clubs give their members, ages 6 – 18, access to dedicated, trained professionals who can provide guidance in adopting healthy lifestyles and pursuing educational objectives. Most importantly, Boys & Girls Clubs equip young people with the skills they need to resolve conflicts peacefully, improve relationships within every aspect of their day-to-day lives and function as responsible citizens. Joining The Heritage Club is easy! Simply communicate your intentions by printing, signing and returning our Enrollment Form. 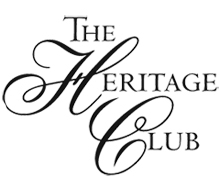 For more information, you may download The Heritage Club Brochure (197K PDF). If you have any questions please call the Club at 605-225-8714 and ask for Bryan.